APPLIED KNOWHOW + SUPERIOR PRODUCTS AND SERVICE = UNMATCHED CUSTOMER EXPERIENCE. For nearly half a century, Around the Clock HEATING & AIR CONDITIONING has adhered to that basic formula, serving tens of thousands of customers in the greater Los Angeles, San Fernando Valley, Ventura and San Clarita Valley areas with best-in-class systems and installations at the most competitive prices in the Southern California region. Established in 1967, Around the Clock Air Conditioning and Heating, Inc. is a licensed, bonded, and insured Lennox Premier Dealer in the top 5% of the major heating and air conditioning contractors in Los Angeles. Over the last three decades we have grown into a full service Lennox dealership offering not only installation, but also service & repair, planned preventive maintenance, engineering, design & build installations and a host of other air management capabilities for a wide range of residential heating and air conditioning projects. 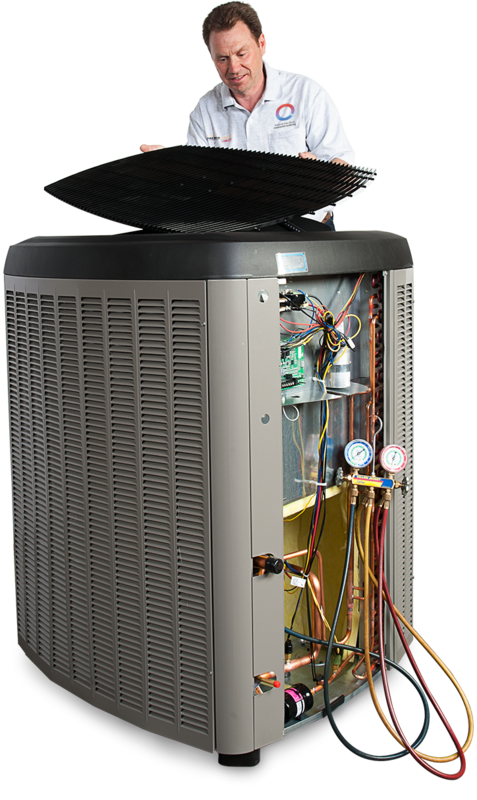 Our heating and air conditioning repair and service technicians are factory trained, EPA certified and highly experienced in repair and installation of residential air conditioning and heating systems. Reliable, experienced installation crews, using the latest tools and equipment, will work within your timetable and provide you with a quality installation "on time" and "on schedule". Our top tier Air Management Engineers take special care to protect your home during the installation of any high quality heating and air conditioning equipment and we use only the most reliable, high quality, energy efficient A/C and furnace equipment on the market. Around the Clock Air Conditioning and Heating is in fact a select participant in the HVAC rebate program. Call or contact us online for a free estimate, or if you have any questions about your residential heating, ventilation, or air conditioning systems. Around the Clock Air Heating and Air Conditioning is consistently pushing the envelope in our industry. As a Dave Lennox Premier Dealer, we only sell the best Heating and Cooling technology solutions on the market, and as a state-of-the-art engineering driven company, we specifically design installations for Southern California’s unique hot summer climate and cold San Fernando Valley winters. Through the use of technological optimization, we continuously improve the consumer experience by creating customer touch point tools that help our clients solve minor problems on their own with our proprietary Virtual Diagnostic Repair Center as well as providing online visitors the tools to make informed and educated purchasing decisions. Experience our online BallPark Estimator first hand and get a FREE online INSTA-BID. Clean cut, courteous uniformed factory trained technicians, in radio dispatched service vehicles, are ready to handle any emergency services when required. Each truck is stocked with a full inventory of replacement parts and equipment. Around the Clock Heating and Air Conditioning also maintains refrigerant recovery units on each service truck to prevent the illegal venting of environmentally dangerous refrigerants into the atmosphere. Around the Clock Heating and Air Conditioning’s Priority Air PLAN Service, ConciergeAIR includes two yearly service calls visits and a 20% off labor discount. As a member of ConciergeAIR, you will not only ensure that you extend the life of your equipment and its safe, reliable performance, but also enjoy "preferred customer status" for priority scheduling. Call or click for one of our heating specialists today and ask about ConciergeAIR’s comprehensive heating service package that can help improve the overall efficiency of your home and reduce your energy bills. Around the Clock’s Planned preventive maintenance programs are tailored to the individual needs of our customers. 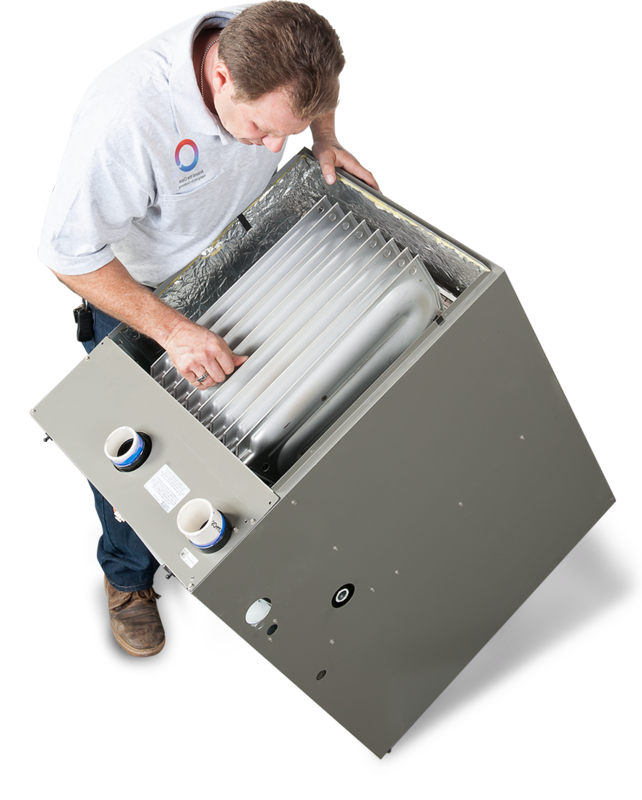 These programs have proven to be an excellent method of limiting the operating, repair, and replacement costs of air conditioning and heating equipment. Call or click for one of our heating specialists today and ask about ConciergeAIR’s comprehensive heating service package that can help improve the overall efficiency of your home and reduce your energy bills.